This is episode 46, with guest Jamie Taylor, aka GaProgMan. This week's tip comes to us from the UK, where fellow podcast host Jamie Taylor lives. He has a great tip that will help improve your health and productivity. Take it away, Jamie! 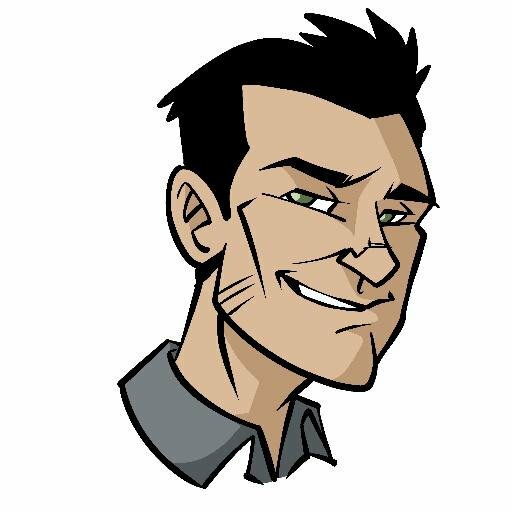 Hello everyone, I'm Jamie "GaProgMan" Taylor, I'm the host of The .NET Core Podcast, and Steve has graciously agreed to let me share a tip with you all. My plan isn't to talk to you about .NET Core or even development, per se, but I might use them as a background for what I do want to talk about: and that's finding the time to relax and getting enough sleep. Which, other than being hyperbole, is a bit of a double edged sword. On the one hand, it's a great idea to keep to speed with what's going on; but on the other hand, you need down time. Now I don't care how long you can sit at your laptop, coding into the wee hours of the morning, drinking coffee, Red Bull, Mountain Dew, or whatever your incredibly sugary caffeinated drink of choice is. Eventually, you are going to need some rest and relaxation. The brain is the most important part of the body for a developer. Without it, we can't function (if you'll pardon the pun). We need the ability to deal with complex business logic, hold several layers of the application's design in our short term memory, and to be able to parse customer requirements. One of the things that happens when you're sleep-deprived is that your ability to regulate emotions goes haywire. Your brain becomes disorganised in its capacity to process information and your sensitivity to information also get scrambled. Regulating emotions is an incredibly important skill to have, and becoming disorganised is quite possibly the antithesis of the state of mind that a developer needs to be in. You need to be able to focus on the task at hand. "But I'm an extremely well motivated go-getter, Jamie. I really don't care." Eventually you are either going to crash and burn, or you're going to need the help of a team of doctors, and possibly a hospital. When you don't rest, you're not just affecting you're physical health, but you're also putting your mental health at risk. Without sleep, you'll be unable to put your thoughts in order, which means that you won't be able to communicate with others, which will lead to you becoming agitated, and that will lead to stress. And stress (or more correctly, "distress") can wreak havoc on your body. We're talking headaches, increased blood pressure, chest pain, heart problems, skin conditions, depression, and anxiety to say the least. Firstly, get up and walk away from your computer. Maybe not, right now. But the next time you get a chance to do so: do it. Take a walk, preferably outside; and if you really must have a coffee, walk to the next coffee shop along - the extra time in the fresh air will really help you. Spend time away from a computer of phone screen, as little as 15 minutes for every 45 will really help. Walk over to the water cooler and have a chat with someone while you get a cup of water. And if you don't have a water cooler, figure out another place to go and to be social - some companies have breakout rooms for this purpose. But what about outside of work? So let's use the Japanese idea of Kaizen (which means "improvement") to break that, little by little. I've taken up running in an evening (well, it's more like jogging, because I'm so out of shape). I'll occasionally call my brother and talk with him about everything and nothing, or we'll talk about video games for hours. I attend a number of meetups which are not even remotely to technology related. By spending time away from computer screens and talking to folks, I've found that I feel more balanced, and rested. Remember: we're social beings. But the number one, most important thing, is sleep. And that can be hard to achieve when you're so used to sitting in front of a bright screen for hours. Our brains are tuned to think that bright light equals day time, so when we're surrounded by unnatural, bright lights, we tend to stay awake for longer. Which is why it's sometimes hard to sleep if you end up using a computer, tablet, or mobile phone before you go to bed. Fixing this is super easy: just don't spend all day and night sitting in front of a bright screen. Give yourself a cut off point, say 30 minutes before bed, and don't use a computer, tablet or phone during that period. But if you have to use your computer or phone during that window, know that the white light emitted by these screens contains harsh blue hues, which will make your brain think that it's day time. So just don't use them. Or, if you have to use them, look for apps similar to f.lux, or Red Moon if you're an Android user, or if you use iOS devices then you can use a combination of NightShift and True Tone. I occasionally get insomnia, and when it strikes I have a number of ways to rest even when I can't seem to sleep. The very first thing that I do is make myself a cup of chamomile tea. I've always found that it chills me out, and it can really help me to rest. This might not work for everyone, but the combination of a hot drink without caffeine before bed really helps me. You know how some people like to have a cup of hot cocoa before bed? It's the same thing. Then I try to focus on not ruminating on anything - this is the medical term for when you can't sleep because you're thinking about that bug you've been trying to recreate for 3 days. It's hard to do make these thoughts just go away, but just try to put it out of your mind. Thinking about things like this when you're meant to be sleeping isn't going to help you sleep. Trust me. The next thing that I do - and this isn't going to be to everyone's tastes, so feel free to skip over this one - is I practise mindfulness meditation. It sounds unintuitive, but focusing my attention on the breath seems to really help me to relax, which helps lead to me feeling super tired. Again, this isn't going to be to everyone's tastes. 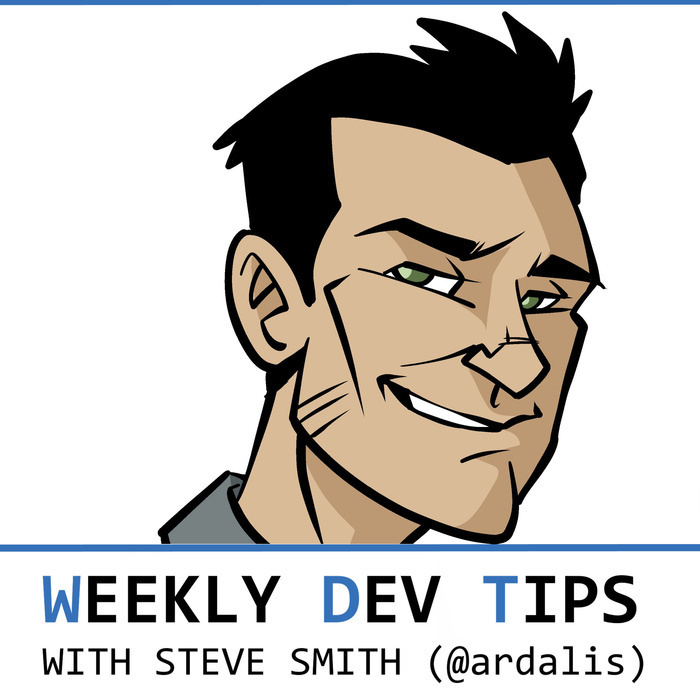 I also subscribe to a number of podcasts specifically designed to help me sleep (obviously, Weekly Dev Tips is not one of these podcasts). I used to do this with audio books, especially technical books where the reader doesn't really emphasise any particular parts of the story, but I've since found a number of podcasts which are designed to help you sleep. Sleep With Me is one of my favourite ones. I simply start an episode playing through my phone (at a low volume obviously), lay in bed and close my eyes. Some people that I've talked to about this have said that the sound white noise, or the sound of rainfall can produce a similar effect. You need to find a way to get rest which works for you. After all, you need good quality rest in order to be productive, NOT the other way around. You cannot be productive without being well rested, and no matter which way you look at it, developers need to be productive. One last thing before I go: take a look into circadian rhythm (I've probably mispronounced that completely). The tl;dr (or too long; didn't read) is that we have a certain number of states when we sleep: light sleep, deep sleep, and REM sleep. The deeper your sleeping state is when you wake up, the more groggy you'll feel when you do wake up. There are apps that you can get which will attempt to measure which sleep cycle you are in, and try to wake you while in a light sleep cycle as your alarm time approaches. This can leave you feeling less groggy, and less like you need that first cup of coffee in the morning. Now, I'd like for you all to get some good quality rest. And thank you Steve for allowing me to share this tip with everyone.